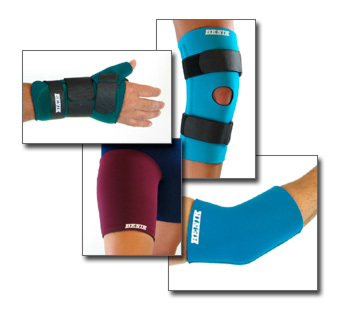 View our complete line of custom neoprene medical and athletic supports for adults. View our complete line of custom neoprene medical supports for children. Benik introduced new features and improved the design of our Ostomy Belt in conjunction with our exhibiting at the 50th Annual WOCN Conference. Benik's new Stoma Guard is included with each belt and the belt's design was improved to guard against instances of peristomal hernia. See the product and contact us with questions. 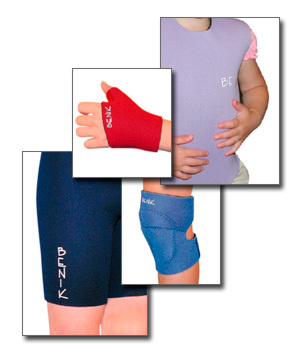 Benik partnered with a Certified Hand Therapist to offer the W-Trenzik™ - Orthotic for the Stiff Hand. The Trenzik™ Splint, which is designed as an exercise device, was designed to assist in the treatment of a stiff, painful hand due to intrinsic muscle tightness. The device positions the MCP joints at the optimal degree of extension while the wearer performs active flexion exercises. Learn more about this item or contact us with questions.